Frantically searching through paint boxes, “Radiant Orchid” is nowhere to be found. No “Radiant Orchid” in the watercolor box or the oil box. Can’t find it in the pastels either. Horror of horrors! What if the 2014 Color of the Year can’t be added to new paintings? 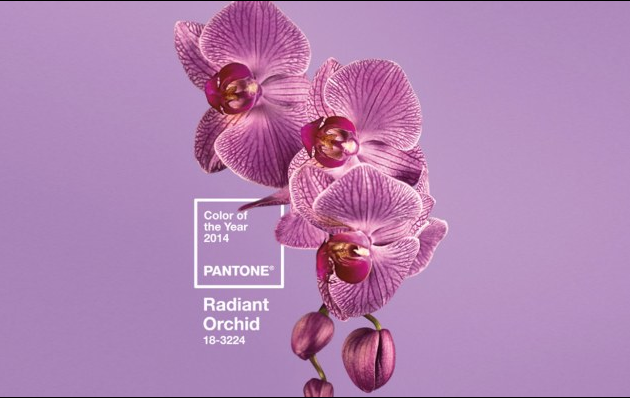 Pantone has declared “Radiant Orchid” the 2014 Color of the Year. Nothing easy this year compared to last year’s Emerald. Anybody can find some Emerald and squeeze it right out of the tube. Not “Radiant Orchid!” No tube comes with that label. How can an artist paint something to go with all the “Radiant Orchid” furniture, walls, and other interior design features of 2014? The only option is to mix it. Leatrice Eiseman of Pantone describes “Radiant Orchid” as fuchsia, purple and pink undertones. That could be any number of color combinations available in the average artist’s paint supplies. The quinacradones, magentas, and cobalts possibly added to ultramarine or alizarin crimson. And don’t forget the mauves. The only way to find “Radiant Orchid” is to start mixing. The problem is in knowing when the exact match for “Radiant Orchid” has been achieved. Which orchids are the radiant ones? But, have no fear! Pantone also states, “An invitation to innovation, “Radiant Orchid” encourages expanded creativity and originality, which is increasingly valued in today’s society.” While mixing the various reds and blues to come up with a personal version of “Radiant Orchid” that “expanded creativity” will be available to draw on. What more could an artist ask? So get those paint tubes out and start mixing. Or risk being undervalued in today’s society! No telling what will happen with all that expanded creativity. A completely original version of “Radiant Orchid” may be revealed. The new mix can become, as Pantone says, “a dazzling attention-getter” possibly hurling the artist into the glare of a radiant spotlight. Soon everything will be coming up orchids. Isn’t that “everything’s coming up roses?” Not this year, it isn’t. This year, it’s coming up orchids, at least the radiant ones. 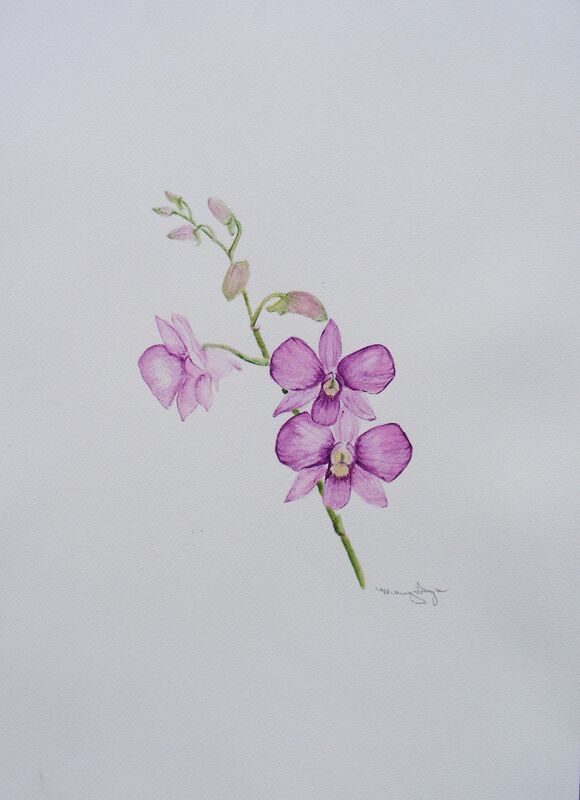 This entry was posted in art, art education, art news, color, creativity, Painting, Uncategorized and tagged Color, Leatrice Eiseman, Orchid, Pantone, Radiant Orchid. Bookmark the permalink. Oh, dear, as soon as I read Pantone describing itself as a “global authority” I can feel myself saying, oh, hooey, who wants to jump to attention on colour when there are so many lovely colours around! it is a lovely colour but why nominate one colour for a whole year? Couldn’t be about flogging products, could it, and pardon my cynicism! I share your cynicism! The point is to sell wall paint, furniture and clothing. I am not sure how effective it is though. Last year’s color, Emerald, didn’t seem to show up in that many places. I can’t remember seeing much emerald at all. I doubt Radiant Orchid will fare much better. I can’t see a rush of people jumping to paint their homes purple.